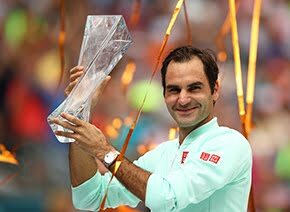 Four-time Australian Open champion Roger Federer is back in the semifinals for the 13th time in his career, setting up an all-Swiss showdown with No.4 seed and 2014 champion Stan Wawrinka after racing past Germany’s Mischa Zverev 6-1, 7-5, 6-2. “Feeling as good as I am, playing as good as I am, that's a huge surprise to me,” said Federer. The 35-year-old Federer leads Wawrinka, the fourth seed, 18-3 in their ATP Head to Head series. Pete Sampras, who won the final match of his career in the 2002 US Open final, was the last No. 17 seed to capture a major title. “If someone would have told me I'd play in the semis against Stan, never would I have called that," said Federer, who returned from a six-month injury lay-off at the start of 2017. “For Stan, yes, but not for me. I honestly didn't even know a few days ago that he was in my section of the draw or I'm in his section. I figured it out eventually that he was playing on my days, but I never really looked in that quarter of the draw because that was just too unrealistic for me. Federer took advantage of early nerves for 29-year-old Zverev by winning the first five games - and losing seven points. The first set lasted 20 minutes. World No. 50 Zverev regrouped and covered the net to keep Federer on the back foot, but, ultimately, was left to rue a missed volley that could have edged him closer to a 4-1 lead. 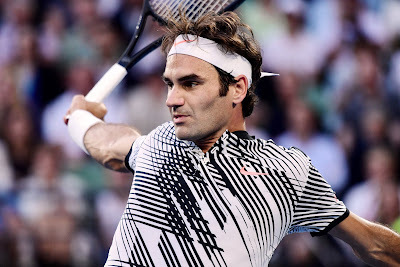 The doubts started to set in and Federer sensed his opportunity, fighting back to break to love for a 6-5 lead. Zverev kept battling, but his resistance faltered in the fifth game and a 26-point seventh game of the third set. Federer hit 65 winners overall, committing just 13 unforced errors in the one-hour and 32-minute encounter. 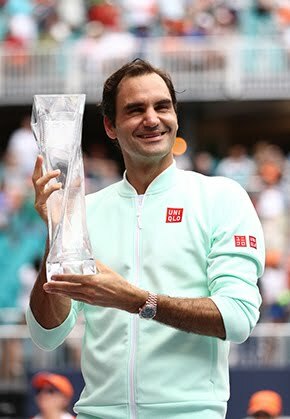 Federer is the oldest men's singles semi-finalist at the tournament since Arthur Ashe in 1978, and the oldest at any Grand Slam since Jimmy Connors reached the 1991 US Open last four aged 39. He is now 85-13 at the Australian Open - the most match wins he has amassed at any of the four majors. Wawrinka beat French No. 12 seed Jo-Wilfried Tsonga in straight sets earlier in the day. “Against Roger, it's always special because he's so good. He's the best player of all time,” said the three-time Grand Slam winner. “He has an answer for everything. But I managed to beat him in a Grand Slam, so we'll see.